When drawing on a blank frame you can automatically create a new drawing and extend the timing from the previous exposed drawing. 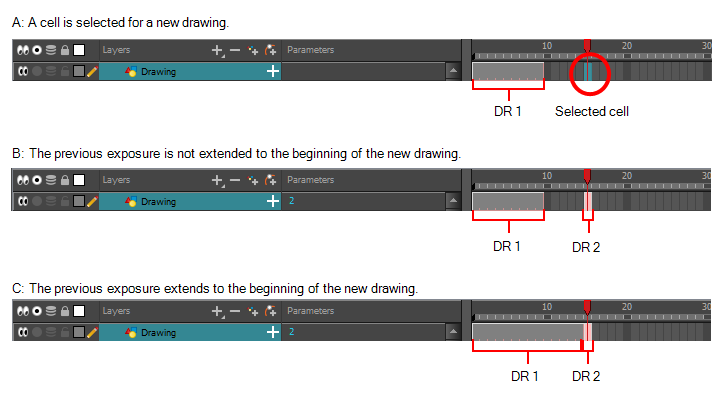 In the following example, a cell is selected on the timeline for creating a new drawing in image A. In image B, the previous exposure does not extend to the new drawing, while in image C, it does. 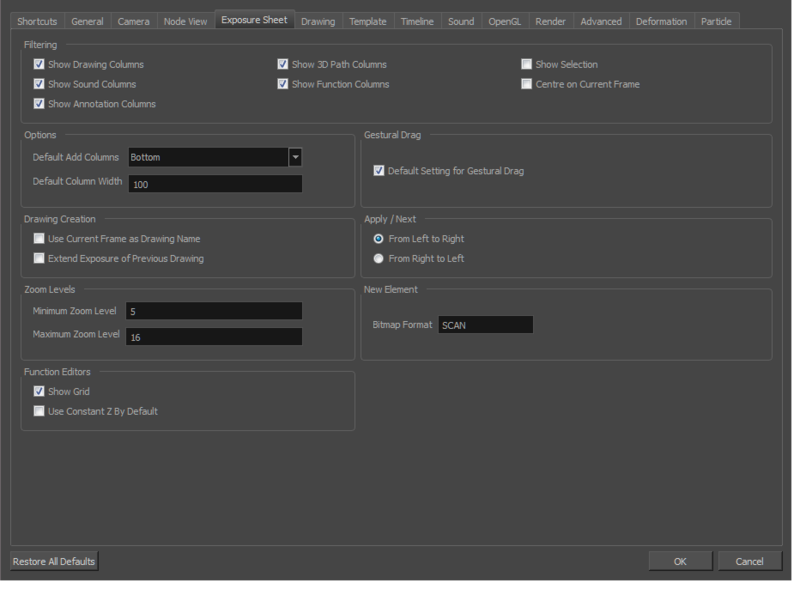 In the Drawing Creation section, select the Extend Exposure of Previous Drawing option.